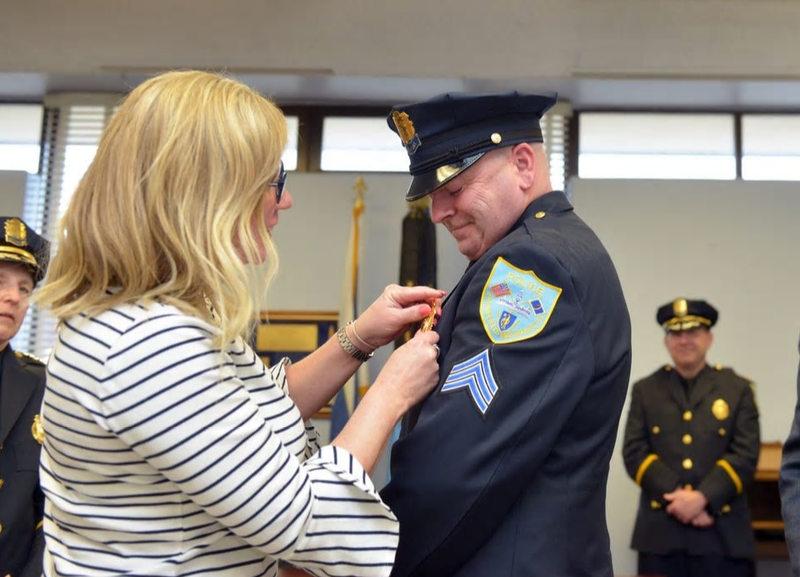 On Wednesday April 3rd, the Springfield Police Department hosted a pinning ceremony for its five newest Sergeants. The five Sergeants who were promoted last Friday have begun their supervisory training this week. Combined they have more than 115 years of service to the City of Springfield. The newly promoted Sergeants are Derek Cook, Rafael Vega, Edward Kalish, Jaime Bruno and Pablo Feliciano. Sgt. Cook became a Springfield Police Officer in 1992, Sgt. Bruno in 1995, Sgt. Feliciano in 1996, Sgt. Vega in 1997 and Sgt. Kalish in 1997. “Their dedication to the city and experience as Police Officers will translate into them being effective Supervisors. We will ensure they receive the training to be leaders for our young core of women and men in blue,” said Acting Commissioner Cheryl Clapprood. Family and friends will be in attendance as these long-time Officers reach a prestigious career accolade. 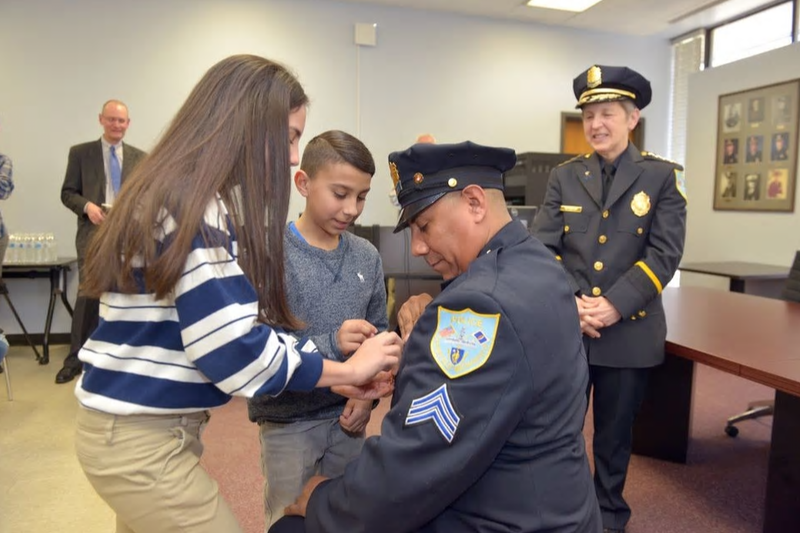 Each Sergeant will be pinned by a family member of a member of law enforcement of their own choosing. 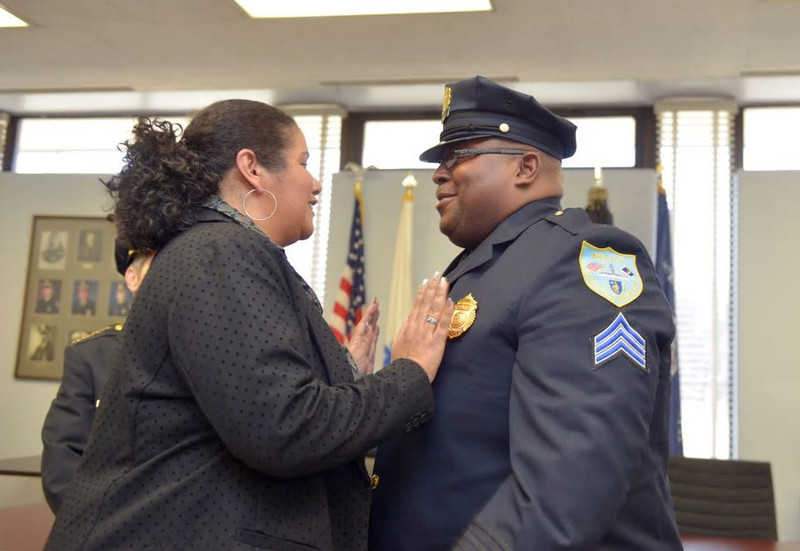 “We’re grateful for Mayor Sarno and his support of the Springfield Police Department by prioritizing the filling of these crucial positions to maximize accountability on the street,” said Captain Brian Keenan, President of the Springfield Police Supervisor’s Association.